transmitting technology. A second, separate transmitter that operates in the 2.4 GHz frequency range (2405 MHz to 2483 MHz) uses direct sequence spread spectrum technology that is referred to as a Zigbee radio. This Second transmitter is included for use with Home Area Networks (HANs) allowing customers, for example, to control certain electric appliances or systems within the home. 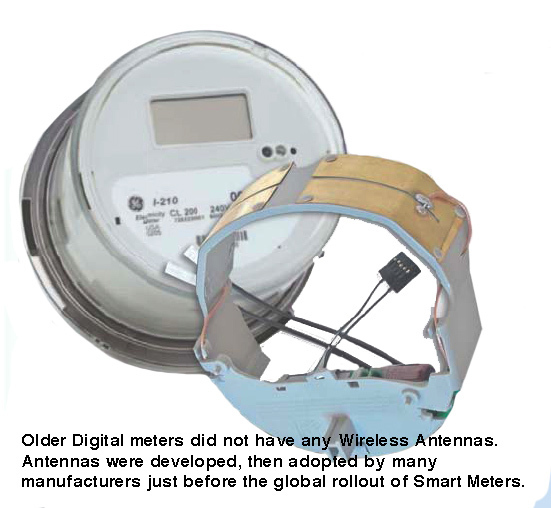 When fully implemented, the customers will be able to connect wirelessly with the HAN radio and set times at which various appliances and/or electrical systems may operate, thereby taking advantage of those times during which electricity rates are lowest. 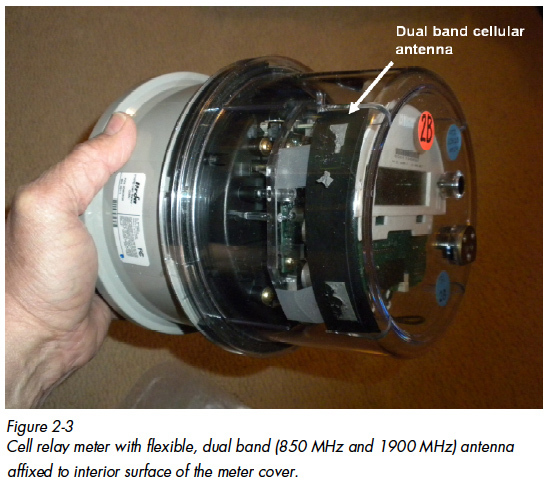 The RF LAN provides data communications among the various end-point meters and an associated cell relay meter. I opened an Itron OpenWay meter and could not find any antennas. If I emailed you the photos, could you help me locate the antennas?